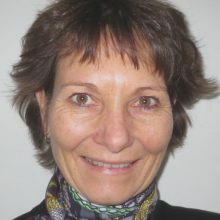 Jutta works as an independent coach, consultant, trainer, author, and speaker. She has helped many teams and organizations worldwide to make an agile transition. She has a unique experience in applying agile processes within medium-sized to large distributed mission-critical projects. She has published her experience in her books. She is the co-author of ‘Company-wide Agility with Beyond Budgeting, Open Space & Sociocracy’ and ‘Diving for Hidden Treasures: Uncovering the Cost of Delay in your Project Portfolio’. She is the author of ‘Agile Software Development in the Large’, ‘Agile Software Development with Distributed Teams’, and ‘Retrospectives for Organizational Change’. She is a member of the Agile Alliance (having served the board of directors from 2003-2007) and a member of the program committee of many different American, Asian, and European conferences, where she has also presented her work.